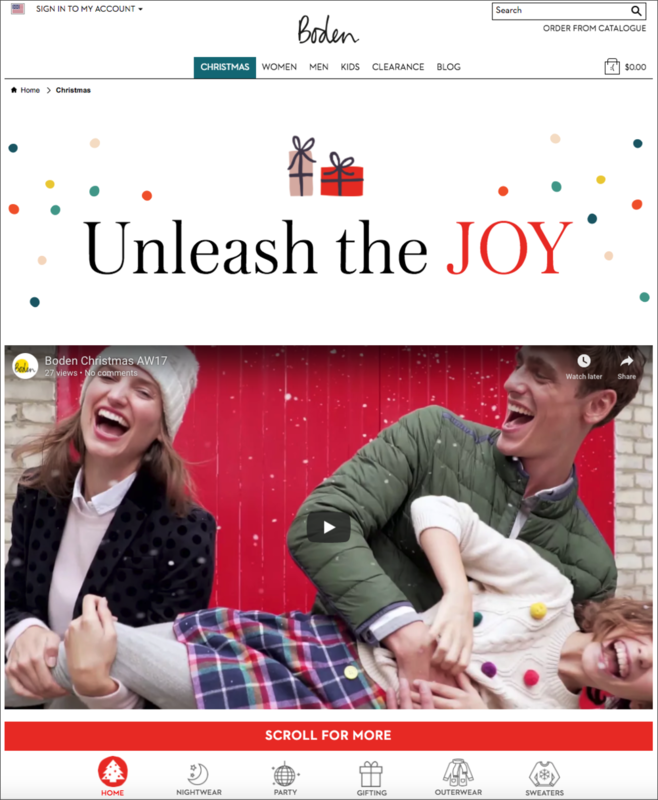 Starting around October, holiday shoppers are bombarded with marketing content. It doesn’t matter if they’re offline or online; they simply can’t escape it. While you can’t avoid promoting your brand (if you hope to sell anything, at least), there are a few ways you can make your holiday marketing something shoppers will actually appreciate. One of the best ways to accomplish this is with holiday gift guides. And if you want to design a truly killer gift guide, take a page from the playbooks of any of these five brands. Cratejoy is a subscription box marketplace that offers shoppers hundreds of different options for monthly deliveries. Customers can sign up to receive shipments themselves or have them sent to their friends. 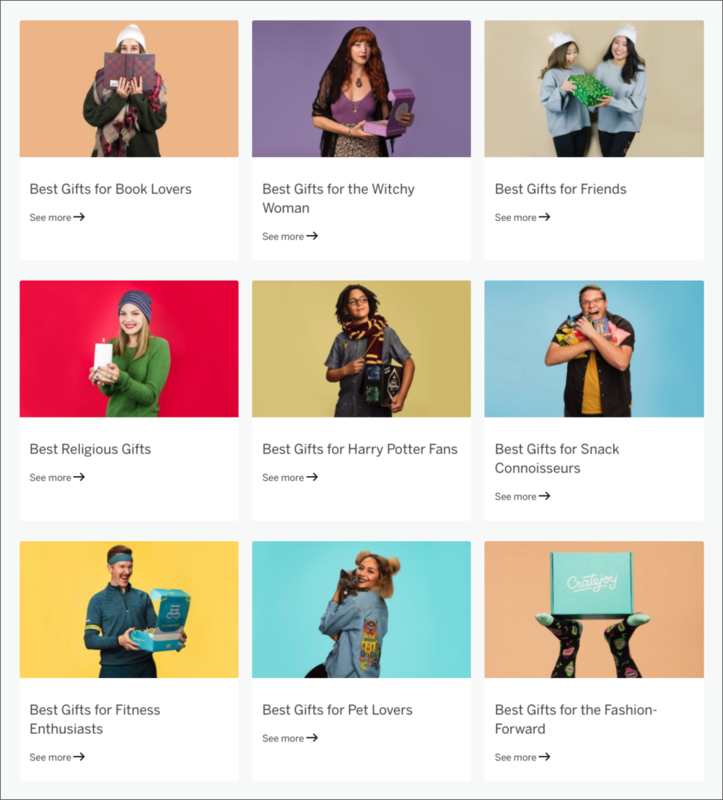 With Cratejoy’s help, consumers can find the perfect present for the Harry Potter Fans, Snack Connoisseurs, Pet Lovers, and Book Lovers in their lives. 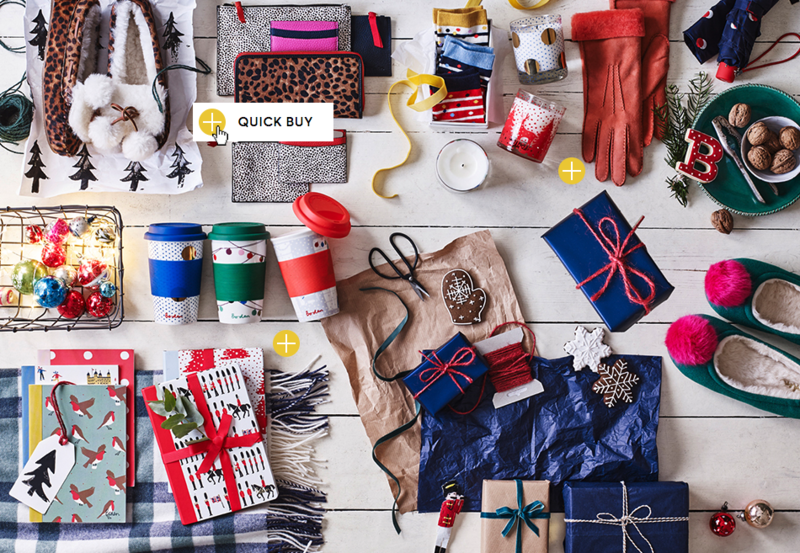 Clicking on any box directs shoppers to articles with five to 15 special gift ideas for each category. And at the end of every article is a list of a few more related posts for additional inspiration. 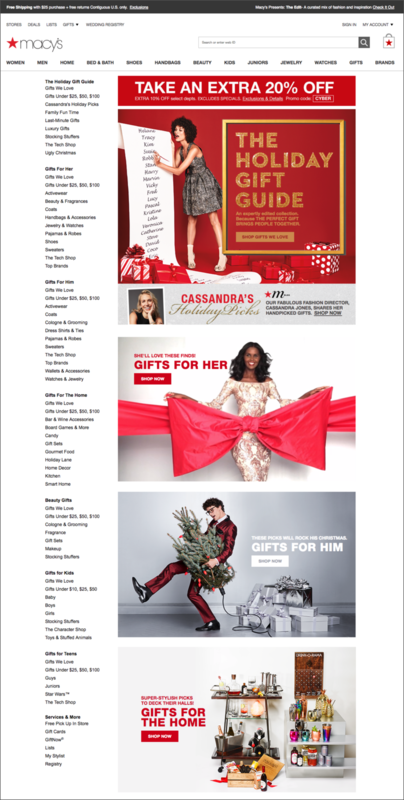 The clothing retailer doesn’t use its gift guide only as a hub to direct customers to various product pages on its site. Instead, Macy’s makes it easy for consumers who prefer to buy in-person to find the closest location. The brand also understands that sometimes no amount of advice will make a shopper 100% confident in her purchase, so it gives customers one-click access to gift cards. Shoppers make a regular purchase on their smartphone or tablet. The app sends an alert to the recipient’s mobile device on the specific date the gifter chooses. Within the message, the recipient personalizes the present by choosing the color or size. Once everything is good to go, the recipient enters her shipping address, and the package is on its way. Seriously — could Macy’s have made gift-giving any easier? The page features limited text and only about 40 different product images. Hovering over a photo brings up a small box with basic product information — name and price — and a link for more item details. Only a handful of the images are animated, helping to keep the page from being overpowering. 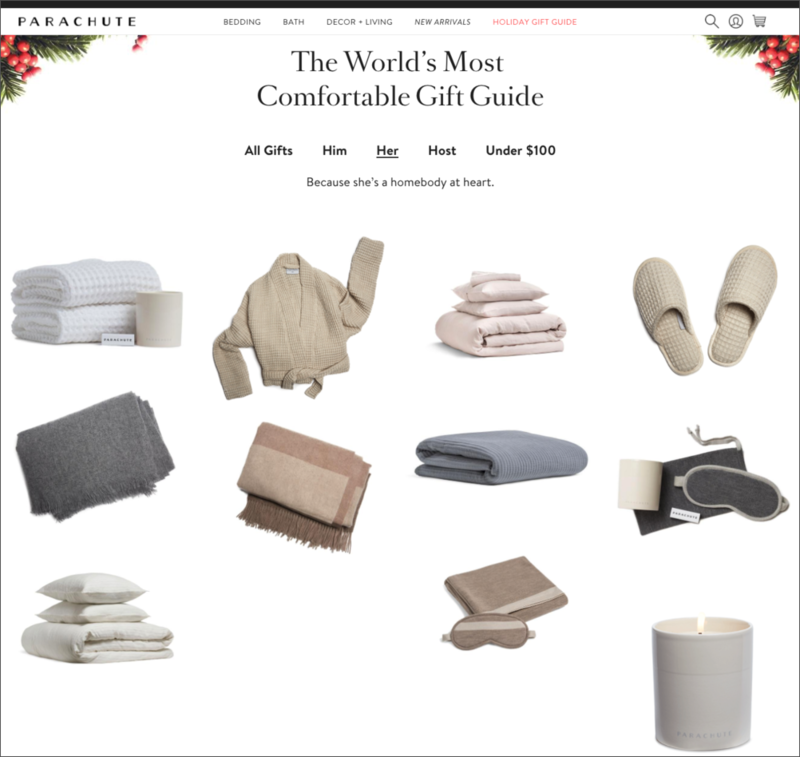 Parachute’s gift guide is by no means boring, but it’s certainly not very flashy either. However, it wouldn’t make sense for it to be flashy since the Parachute brand is more about being mellow and relaxed. 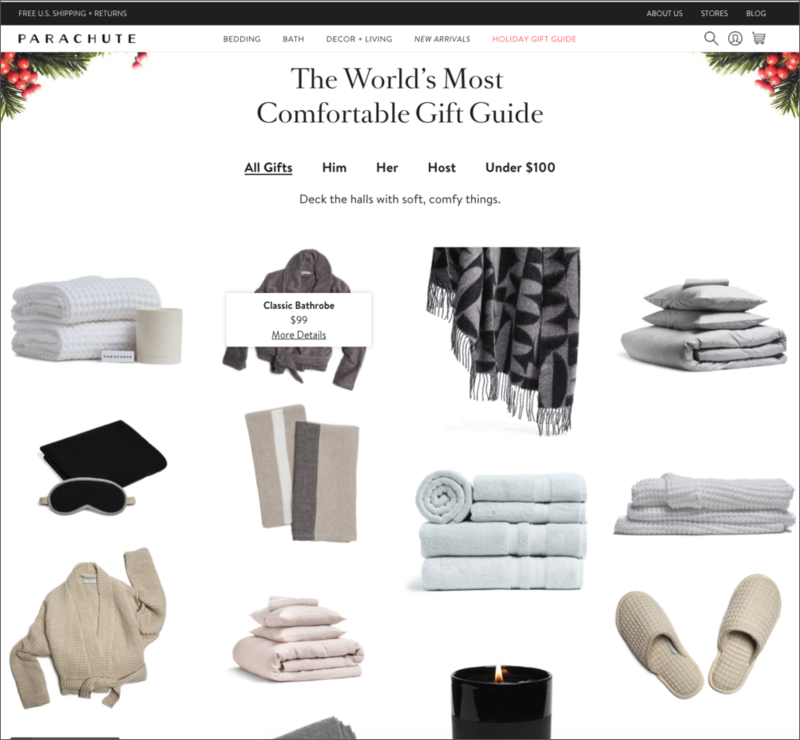 So while the guide doesn’t have all the bells and whistles some of the other gift guides on this list do, it’s still a great example of how to design a creative, yet simple, guide that corresponds to your brand. Zappos has been killing the ecommerce game for years. So it’s no surprise the brand’s 2017 holiday gift guide features some of the coolest content anywhere. Holiday product videos are effective in general. And interactive videos are even better drivers of engagement. But an interactive product video that allows shoppers to add items directly to their carts just by clicking on the item in the video? 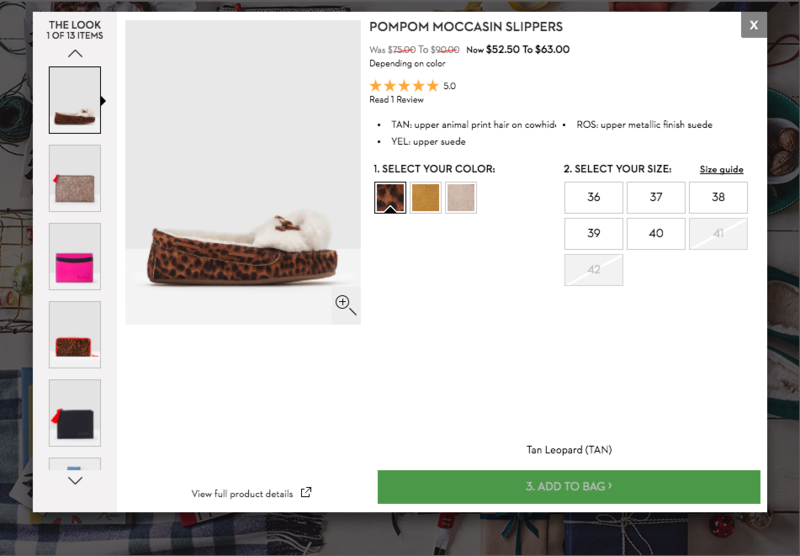 When a shopper clicks the Buy Now button, they’re redirected to the product page where they can choose the size and color, see the price, and add the item to their cart. But there are two elements in particular that qualified the guide to be part of this list. Boden’s gift guide has a great design, but it can be a touch overwhelming. The menu allows the brand to grab the attention of types of customers who prefer a simpler design and still be creative. Plus, clicking on a menu option blurs the content in the background, helping to bring even more focus to the menu. 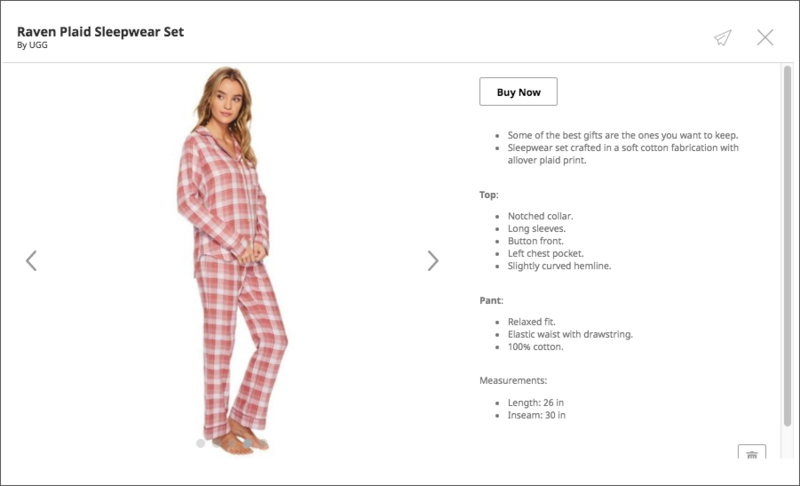 From there, customers can customize the item and add it to their cart. While the Zappos video is super cool, it does require a decent amount of coding skills. But what’s great about Boden’s content is that any brand can make their images interactive by using ThingLink. 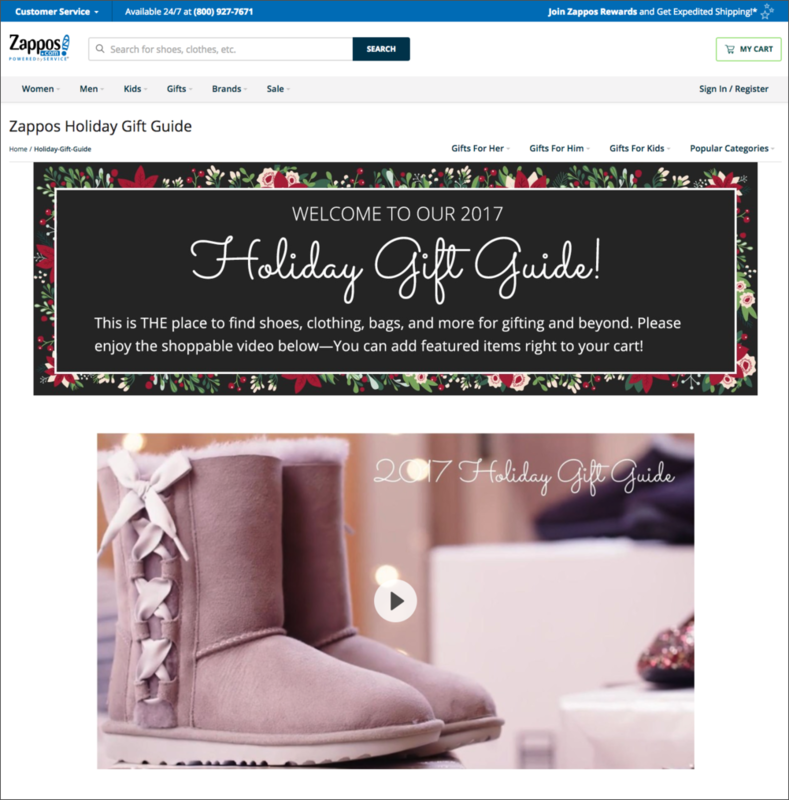 Whether you choose to go all out with your gift guide like Zappos or Boden or take it easy like Parachute, the bottom line is your guide should be something shoppers actually find useful. 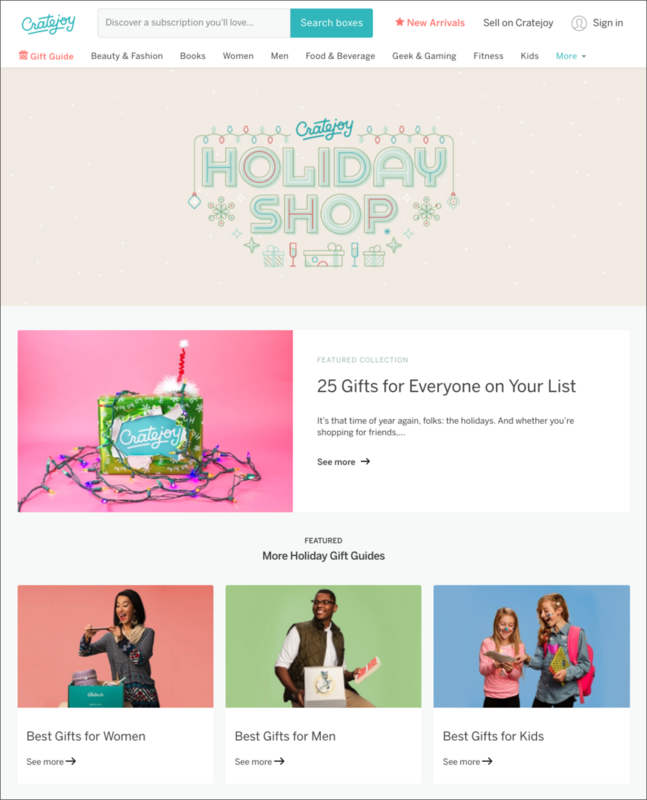 While a gift guide is indeed a marketing tool, it shouldn’t necessarily feel like one. Find the right balance between promoting your brand and helping your audience.